Dubai is among the top four most visited cities in the world and was recently named the ‘Rising Giant’ in the global hospitality industry, said an industry expert at the 10th Annual GM Conference by Hozpitality Group. 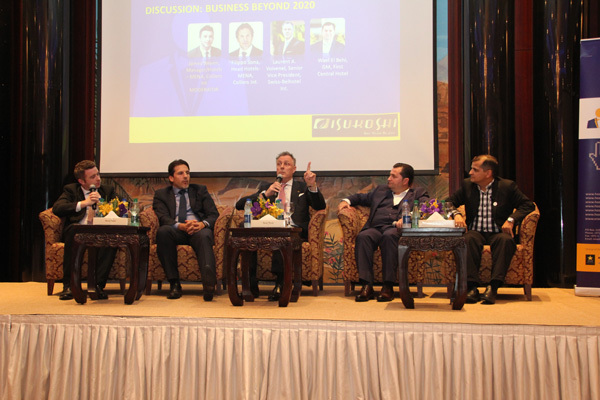 Participating in a panel discussion on Business Beyond 2020, Laurent A. Voivenel, senior vice president, operations and development for the Middle East, Africa and India for Swiss-Belhotel International, said: "The city is rapidly emerging as a world-class leisure and entertainment destination. Expo 2020 has given a great boost for the development of tourism infrastructure and attractions in the emirate which will serve as a new foundation for the growth of tourism." "According to industry experts, the legacy of Expo 2020 will expand well beyond the event. Laurent agreed and added, “The Expo is just one stop along the way. The huge investment in airports and hotels, broadening portfolio of attractions and facilities, diversification of source markets and collaboration between various business sectors are all accelerating the pace of Dubai’s growth into the future." “This change requires a new strategic approach from hoteliers – one that enables hotels to understand market trends and build the internal capabilities needed to succeed in a new environment. The more we tailor our products to offer local experiences and value for money the better conversion we can expect. There is need to build on experiential travel and hospitality,” he said.